Ted Baker is an interesting company. It started life in 1988 as a single store in Glasgow, selling its own brand of men’s shirts. 30 years later it’s listed in the FTSE 250, has several hundred stores and concessions and generates revenues of more than £500 million and net profits of more than £50 million. That happy little success story is somewhat interesting, but as an investor what’s more interesting is the company’s near-perfect growth record. What do I mean by “near-perfect”? 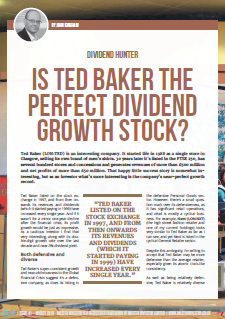 Well, Ted Baker listed on the London Stock Exchange in 1997 and from then onwards its revenues and dividends (which it started paying in 1999) have increased every single year. And if it wasn’t for a minor one-year decline after the financial crisis, its profit growth would be just as impressive. 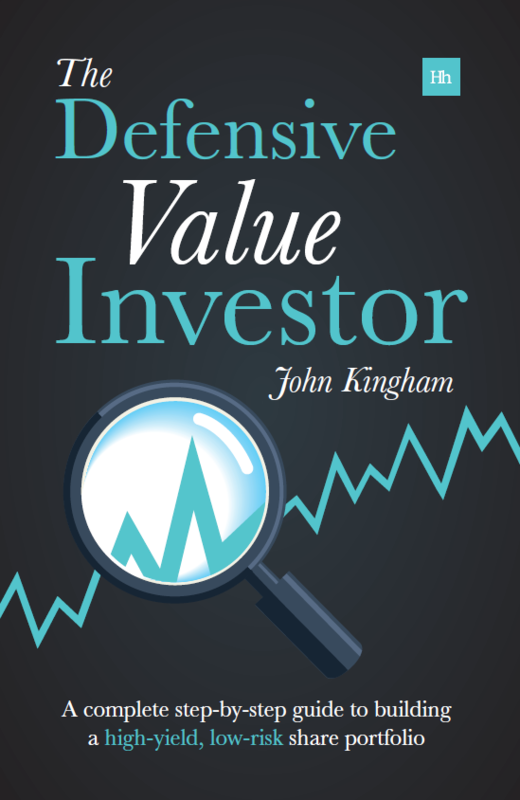 As a defensive value investor I find that sort of consistency very interesting, along with its double-digit growth rate and near-3% dividend yield. Disclosure: At the start of August (a couple of weeks after writing this review) I added Ted Baker to the Model Portfolio and my personal portfolio. this is one of the first companies I invested in and I still hold 663 shares in them. However this is fifty percent of the amount I owned in January. The reason I sold was twofold. The rate of growth seemed to be slowing, understandably, from a previous high rate and the other is more quirky. I went to an AGM there three years ago and the impression I got was of a company driven by one man, Ray Kelvin. And I wondered if something happened to him that impeded his ability to continue to run the business, how would it cope? This was reinforced in some ways today when I read about Elon Musk working 120 hour weeks……………….sometimes a broader band of leaders might help reduce the risk. Hi Joe, that’s a good point. I also noticed that Ted Baker was still being run by its founder. Generally I think that’s a good thing, but there is then the inevitable “run over by a bus” risk. In this case, I don’t have an opinion because I don’t know who does what on a daily basis. However, Ted Baker is becoming a very large company so I find it difficult to believe that one person has that much impact, or at least that whatever Ray does can’t be done by one or several other people. But I may be wrong and we may find out sooner rather than later, as Ray is not exactly a spring chicken anymore. As for Elon Musk, having watched him for many years it seems to be in his nature to want to be in complete charge and to also work insane hours. As you say, the single point of failure risk raises its head again, although how Elon getting run over by a bus would affect Tesla, Space X etc. is anybody’s guess. I was interested to note that you also hold NXT( as do I ) and BRBY (which I don’t.). That’s three clothing retailers in a portfolio of 30 shares. Admittedly NXT is different as it relies less on its brand and has a greater % of online sales and is not as international as the other two. But does this meet your criteria on diversification? Hi Stephen, I actually own one more clothing retailer than that, for a grand total of four. My rule for diversification is to not have more than three stocks from any one sector, so of those four, two are in the General Retailers sector and two are in the Personal Goods sector. So on that basis no, I’m not breaking my diversification rule. In reality these four companies are all in more or less the same business, so yes, I do have quite a large footprint in the fashion / clothing business. In terms of percentages, I have about 14% of the portfolio in clothing retail. Is that too much? I don’t know, but I don’t think it’s obviously excessive. Having said that, I don’t think I will be adding any more clothing retailers to the portfolio until one of the four is sold. 3 interesting comments above — For me the reason to buy is the growth potential. When I look at Burberry it’s a very established brand — in the top 100 world brands — It went through a Chav label phase and came out stronger thanks to a whole range of restyling and repositioning on the catwalk by Christopher Bailey. He has now left Burberry and the new chief has positioned the company on a extreme luxury only path with a lot of the middle tier products discontinued and alliances with mid range retailers ended. I didn’t like that approach, so sold Burberry. Similar ideas squashed Mulberry. Ted Baker seems to have real appeal to a broad range of people young and older and it’s expanded well outside of the UK, but hasn’t even scratched the surface in some regions — signs of promise in my limited view. It’s also seen as quality — I’ve had a Ted Baker shirt for 15 years — can’t wear the darned thing out (is that a good thing he grins?). The 30% decline looks like a good basis for entry — time will tell. It’s 1.2% of my wad as of July, and I’m wondering if it should be higher. In terms of other luxury, I have 2.2% in Estee Lauder (since 2016, up 80%) and 2.4% in Apple (also since 2016, up 124% – which I no longer view as an out and out tech company, but a luxury brand for a wide audience). Hi LR, I have about 4.5% in Ted Baker now so as you say, time will tell. To me it looks eerily similar to where Burberry was a decade ago, so perhaps a decade from now it will be almost as big, or perhaps even bigger given Ted Baker’s more mainstream appeal. But I am not known for my optimism, so we shall see. I wonder if you have reassessed IMB since back then, as it appears, at least at the current esimates, that IMB’s pre-tax profits will be in the range of £3.1bn. Now I appreciate, this is not a true representation given the heavily taxed situation of tobacco, but with £10bn in borrowings, after the Reynolds acquisition, is it looking rosier? There are other factors possibly more important, and that is IMB’s lack of exposure to emerging economies where the smoking growth exists and IMB’s lack of a “heat not burn” product offering which is taking off with it’s competitors, Philip Morris and BATS. And I suppose if one had to chose, would it be IMB or BATS? It appears Terry Smith has dumped IMB because of a lack of coherent strategy from Alison regarding emerging markets and smokeless alternatives. Hi LR, no I haven’t looked at IMB in a while. When I said £3bn I meant post-tax, so it still has a way to go, although of course that isn’t impossible at some point. Also, I think you’re mixing your tobacco stocks. It was the other big tobacco company that purchased Reynolds. IMB has a ho-hum ranking on the UKVI stock screen and, somewhat surprisingly, has a pretty weak post-tax ROCE over the last decade. So I don’t expect to invest in it any time soon. John, You are correct in spotting my silly error. Having held Reynolds and profited from it’s acquisition I should have realised as I was typing. I agree with your analysis and also think Ted Baker is worth buying. The only thing that makes me hesitant is the performance which is flat over the last five years. That makes me wonder if there is something we are missing here. Usually companies I invest in which are creating value have charts that roughly look like a straight line from the bottom left hand corner of my screen to the top right. My experience has been that these are the best investments and if a company has underperformed it’s done it for a reason, although it might not be apparent at the time. I will still probably go ahead and invest in Ted Baker though because I think all the other positives outweigh this one negative, but I will not put much into the stock. Perhaps half of my usual position. Hi Andrew, by “flat over the last five years” I assume you mean the share price, because the company’s financial results have been very positive over the last five years. If that the case then you’re talking about “momentum investing”, i.e. investing in companies where the share price is going up. That’s fine if it works for you, but as a value investor I tend to invest in companies like Ted Baker, where the share price has either been flat for a while or has fallen in recent years. Those share price falls can make the company appear better value for money, hence why value investors like me find that sort of thing interesting. The risk in this situation is that, as you say, we could be missing something and perhaps the market is right to mark the stock down. But on the flip side, the risk in momentum investing is that the market has pushed the share price too high. Anyway, good luck with your investment in Ted Baker. Hopefully momentum will return and we can both exit at an attractively high price. As I understand momentum investing is only using the charts to follow a rising trend, using all kinds of things like MACD, RSI and various oscillators. No, what I was suggesting was that the fundamentals should be in place but over a long period of time, usually a business cycle, that should be reflected in the share price. If it isn’t then I take that as a bit of a red flag. It could be that everyone has missed a bargain but it could be that there is a reason why the company has not created shareholder value for so long. The only value I care about as a shareholder is the share price plus my dividends. 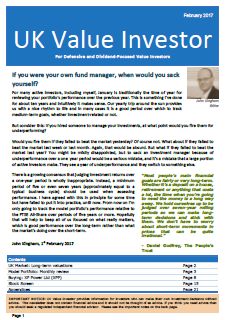 Yes, I agree; pure momentum investing doesn’t take account of fundamentals. So it looks like we just differ in how much we trust the market to correctly price companies and to reflect true shareholder value (you seem to trust it more than I do!). You don’t like to see a long period where the share price has been flat or declining, whereas I don’t care. In my mind the share price could have been flat for the past five years because it was massively overvalued five years ago. The flat period is simply the readjustment of the share price to a more attractive level while the underlying company has doubled in size (for example). But everyone has their own approach and I’m certainly not trying to say you’re wrong to want to see a rising share price before you buy. We’re just different and different is what makes the world interesting. Thank you for the very interesting analysis. I only have BOO in terms of retailers in my portfolio though 11.4% of portfolio, so TED is of great interest. I will delve further. A question and a point. – why do you wait for the right month to come along (as in “And when I make my next purchase in August,….”) rather than the right company, which might be tomorrow or a year from now? – the Burberry Chav thing was more than a little while ago. I remember how working in Harrods nearly 40 years ago we could spot the shop lifters because they wore Burberry caps and scarves. I think that these mistakes will always happen from time to time Gucci did the same and Pierre Cardin to name two. Then there is the Ratner type of mistake. Let’s just hope it doesn’t happen to TED. 1) why wait for the right month to come along rather than the right company, which might be tomorrow or a year from now? There are a couple of reasons. First, I assume that the is always going to be something worth investing in, i.e. there will always be good companies available at attractive prices, so in theory I could make purchases at any time. However, my second point is that I don’t want to have to watch the markets every day, or even every week. I think I can probably make just as good investment decisions by scanning the market once each month and making decisions based on what I find at that time. This slow metronomic approach suits my personality. It also stops me from over-trading because I can only make six buy and six sell decisions (spread across 12 months) each year. It was, and it didn’t really have much impact financially either. My point was more that branded companies depend on their brand, so the brand is a source of returns but it’s also a source of risk. Something like Ratners would be an extreme example. However, I don’t think it’s a big risk to be honest. If Ted Baker toilet roll caused problems for the rest of the brand then I’m sure they could rectify it. And if the brand fell out of favour with its core market then it would probably have more to do with the design of its clothing than its brand. John – Upped the stake in Ted to over 2% of my wad — looks interesting if not a little exposed to negative sentiment to all that looks retail and shop orientated – but Ted is much more than that we hope yes? Starting to offload some Unilever to pay for it, as I think the asinine management move to hide inside The Netherlands takeover rules will damage the share price and losing a London FTSE100 listing is probably one of the silliest move I seen a management team make – they must be very frightened after the failed Kraft bid. Relx and Shell have managemened to keep it so why can’t Unilever? Any thoughts on Tullet Prebon (or TP-ICAP as it’s now known). 10 years of history and more here John, and it’s always paid a dividend, albeit struggling a bit after the big merger a couple of years back – CEO out the window and a new start is in the offing – share price on the floor, yield up in the sky and I’m guessing Terry Smith still holds a hefty chunk of the stock. Ted: Negative retail sentiment is largely UK-based and Ted has a large and rapidly growing international business, so hopefully that will keep growing even if the UK falls off a cliff. Tullett Prebon / ICAP: I owned this a few years ago and did kind of just about okay with it (50% gain in 5 years) but I sold because it was going nowhere and that’s still true (I think) today. Not exactly on my ‘must buy’ list. Big fan of your “slow metronomic” and systematic approach to investing in good companies at attractive prices. It’s been particularly instructive to see this approach evolve over time as you review investments and make improvements based on what has/hasn’t worked. 5) As a result, profitability has dropped from a respectable lease-adjusted ROCE of 18% to 12% (30% to 20% if one excludes long term lease commitments) and one measure of safety, fixed charge cover, has dropped from over 2.5x to just over 1.5x. Looks to me like the sideways drift in the share price over the last 5 years may, at least in part, be down to deteriorating profitability and margin of safety. That’s all very interesting, but I guess the killer question is to what extent all this is already baked into the share price. It’s certainly been quite a few years since TED was valued so lowly relative to earnings! Interested to see how this one plays out. Thanks. There’s probably another tweak in the pipeline soon as I expect to add a free cash flow metric before the end of the year. I’m just working on it now. 1) FREE CASH FLOW: Ted is a bit odd for a clothing retailer in that its capex is so high. I assume that’s because of the rapid roll-out of lavish stores. I’m not sure this is a ‘requirement’; it’s more of a choice. They could probably fit out stores for half the cost but then that might damage the brand. But if need be they could definitely do it much more cheaply. Usually I don’t look at free cash flow at the moment, but after a couple of recent dividend cuts in the portfolio I’m investigating it now. I like the idea of maintenance free cash flow, where you deduct depreciation (and possibly amortisation) from operating cash rather than capex as it’s a smoother number. Ted has very ho-hum maintenance free cash flow, which covers the dividend in 5 out of 10 years and has an average dividend cover of 1.0. So that’s probably why debts have been going up. Might be a good idea for management to cut back on dividend growth for a while to avoid spiralling debts. 2) RISING DEBTS: Agreed, debts on the rise which is always a bit concerning. Not sure if buying the head office is smart or Ted’s folly. 3) RISING LEASE COMMITMENTS: This I would expect given the rapid rate of expansion. 5) FALLING PROFITABILITY: Yes, but if you look at the context of retail (i.e. massive macro headwinds) it’s not a complete surprise. If you look at the wider world of retailers they’re almost all down over the last few years, even previously hallowed companies like Next or Burberry, which are flat over five years. It’s just a tough environment for them at the moment which may or may not have any relevance over the longer term. As you say, will be interesting. I think they’ll be okay if companies like Ted can transition to primarily online businesses. That’s the way it’s going. The high street will be mostly coffee shops, cinemas and other entertainment, plus a few Apple store-style shops to try clothes or sofas out, where all space is devoted to making the store a ‘destination’ rather than a place to hold stock. You’ll try things on and then have them delivered to your house (from a warehouse rather than the store) later that day. But 80% of shopping will be done online. That’s my guess.